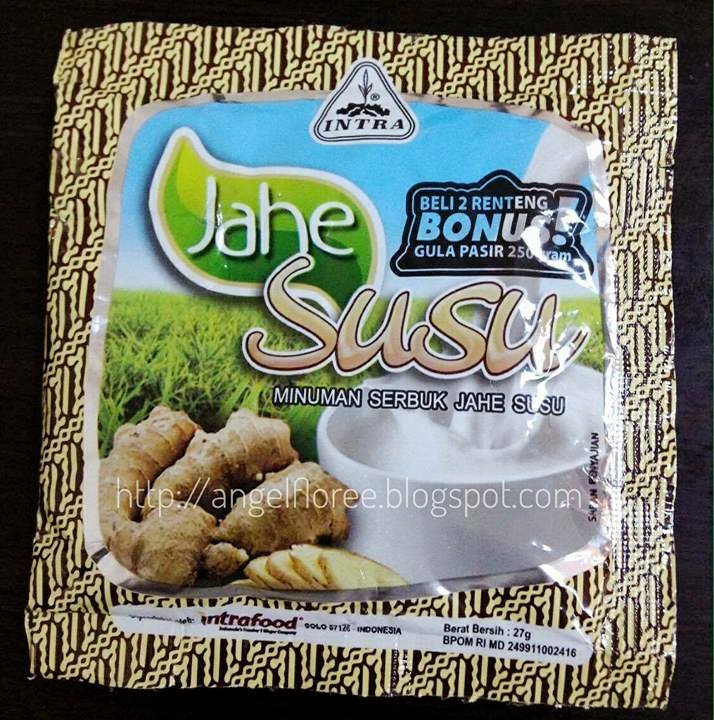 Jahe Susu in English means “Ginger Milk.” In Indonesia, ginger is considered as a super beneficial plant. Its parts especially its underground stem called rhizome has been used and consumed in many forms may it be dried, fresh, powdered, oil or as juice. The plant is famous along in history for relief in health problems like colds, nausea, aid in digestion, inflammation and degenerating joints. Studies show that drinking ginger juice may lower blood sugar also prevent heart diseases. Aside from these, there were more benefits yet to be discovered by researchers about this amazing wonder. This tea product is new to my taste although in the Philippines it has been served as crushed and boiled with sugar or honey but with no milk. Our Indonesian friend gave us some taste from sachets she bought when she had her vacation recently. It is served either hot or cold. The drink is best taken in the morning for invigoration or in the evening for relaxation. 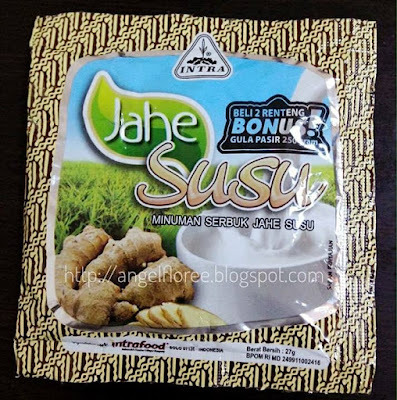 This instant Jahe Susu (Ginger Milk) could be mixed with ice or extra sugar for refreshing feel in summer season and the warm version gives comfort in cold seasons e.g winter and rainy days. 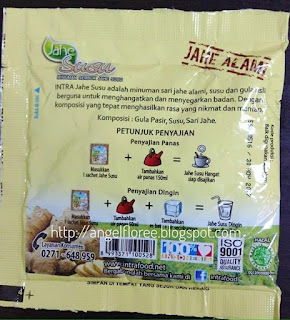 The main ingredients of this product are ginger juice in powdered form, milk and pure sugar that are simple and natural. 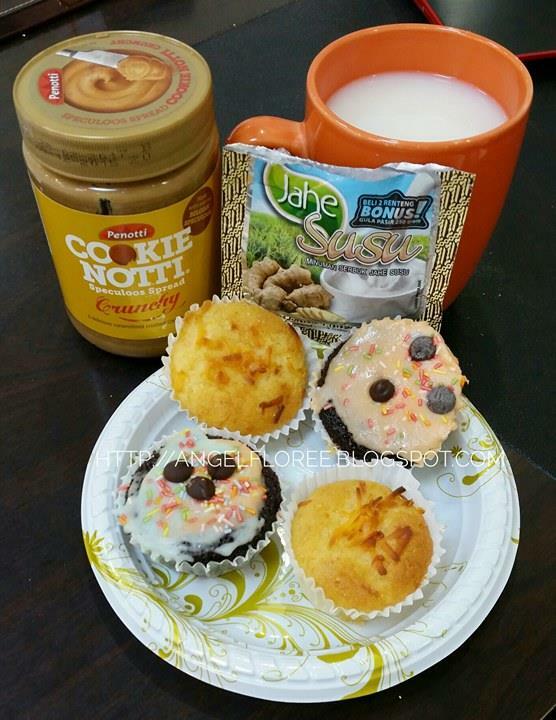 Warm Jahe Susu served with cupcakes. HOT VERSION: Add one sachet into 150 ml of hot water then mix. COLD VERSION: Add one sachet into 150 ml of hot water, stir. Place ice cubes then stir again. For non-Indonesians who want to try this drink, you can see some available in E-Bay for online buying.